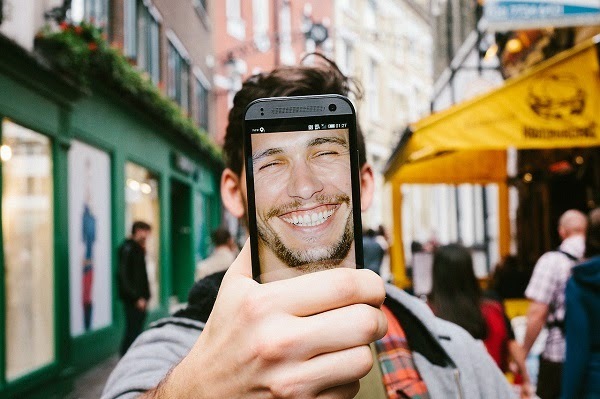 When a brand gave London-based photographer and creative director Dan Rubin a new smartphone to play with, the company requested that he put his own humorous spin to the worldwide phenomenon known as the ‘Selfie’. Armed with his new phone, he headed to Carnaby Street in London, and approached several people to have their photos taken. However, instead of capturing their faces, he asked his subjects to hold the phone up with a celebrity’s face on display—covering their actual faces. The resulting images are a humorous commentary on the selfie phenomenon, and they also poke fun at the celebrities who frequently take such images. Tema Viagens. Imagens de temas por compassandcamera. Com tecnologia do Blogger.